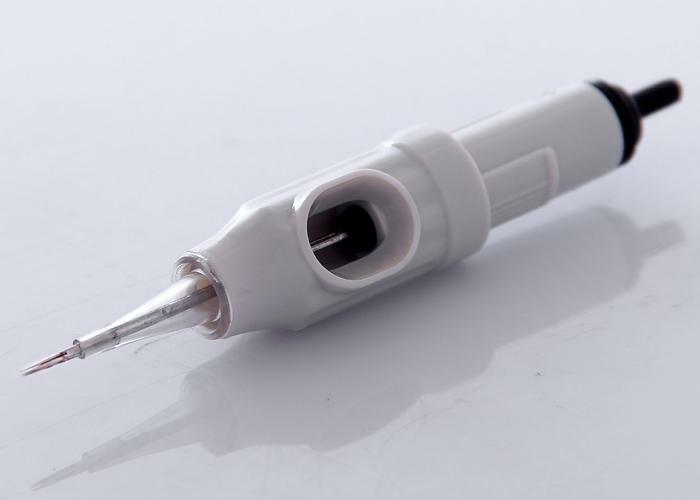 The cartridge needle contains a reservoir for a specific colour of pigment. 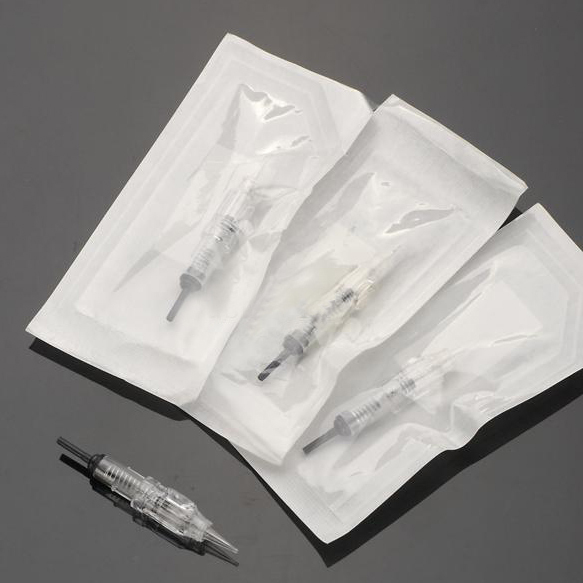 shape of the needle was optimally designed in order to obtain the highest precision and offers minimum discomfort while implanting dyes into the skin. 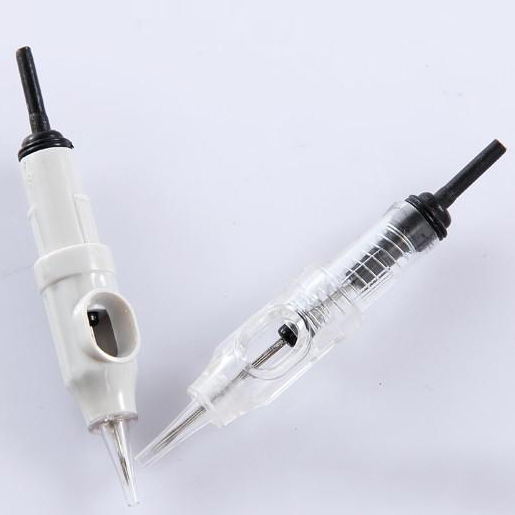 The Easy-Click system enables quick assembly of the cartridge.It easily allows changing the size of the needles or the colour of pigments during use.